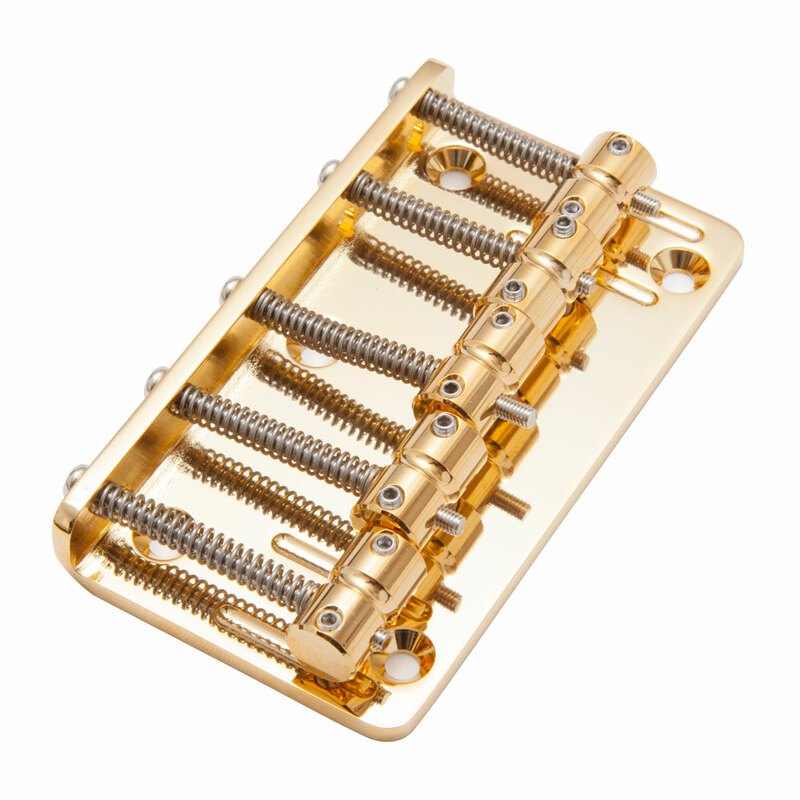 Gotoh's 205B-5 is a 5 string bass bridge with a steel bass plate and brass saddles. The saddles are individually intonatable and height adjustable, the outer saddles run in slots in the bass plate to stop any sideways movement of the saddle set. The 5 fixing screws (included) provide maximum sustain and sound transmission to the guitar body. The top loading strings mount through the back of the bridge for quick and easy restringing.